King Vishvamitra along with his army had left for Aakhet. And on the way while he was crossing the dense forest he came somewhat close to Maharishi Vashist’s ashram, and thought of paying him a visit. Maharishi Vashist was too pleased to receive him and offered him heartfelt courtesies and hospitality. But there was something that was now bothering Vishvamitra. He could not understand how an ever-meditating Maharishi Vashist from the confines of his small ashram and cottage feed a sumptuous meal to his entire army. And when he came to know that this was possible because of his holy cow Nandini, he asked for the cow from Maharishi Vashist. But Maharishi Vashist refused to part with his holy cow at any cost. This annoyed Vishvamitra who then by using force tried to take away the cow from Vashist. But Nandini at the instance of Vashist mooed loudly to produce some tough warriors who then drove out Vishvamitra and his army from the surroundings of the ashram. 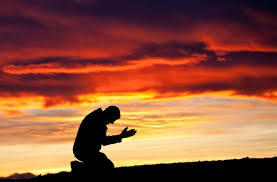 It was both difficult and insulting for Vishvamitra to pray to Vashist as he considered him as his rival. And Vashist always addressed him as Rajrishi whenever he met him, and this further irritated Vishvamitra. And by now he had become a great enemy of Vashist. Vishwamitra then motivated a rakshas (demon) to kill all the hundred sons of Vashist, and was always on the lookout for an opportunity to disgrace and insult Vashist. 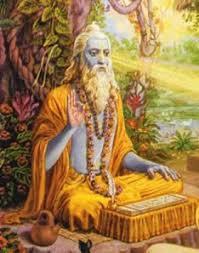 Since Vishvamitra was failing in all his attempts to demean Maharishi Vashist, he decided to wield the craftsmanship of Lord Brahma himself. And this was something crazy as he decided to create a new shristi (Universe) and become its Brahma. And with his tapobal (meditating power) he started creating a new world. New cereals, new flora and fauna, new animals—and he kept on creating and creating, as if testing Lord Brahma’s patience. And in the end Lord Brahma came and stopped him. And assured that whatever he had already created will remain and co-exist exist with the existing. And this further frustrated Vishvamitra. For he realised nothing was succeeding for him and so he decided to eliminate Maharishi Vashist. And therefore: after arming himself with weapons, in the night he quietly sneaked into Vashist’s ashram. Actually he wanted to kill Vashist on the sly and without his knowing. It was a moonlit night. And outside his cottage Maharishi Vashist was sitting on his vedi (seat) along with his wife. Where, Vishvamitra was waiting for an opportune moment in the hiding, close by and behind a tree, to attack him.